Get that country setting without driving 30 miles out into the country. This almost 6 ace lot is close to town but provides tons of privacy and tranquil county features. Its surrounded by other large tracts but bordered by noisy running creeks. 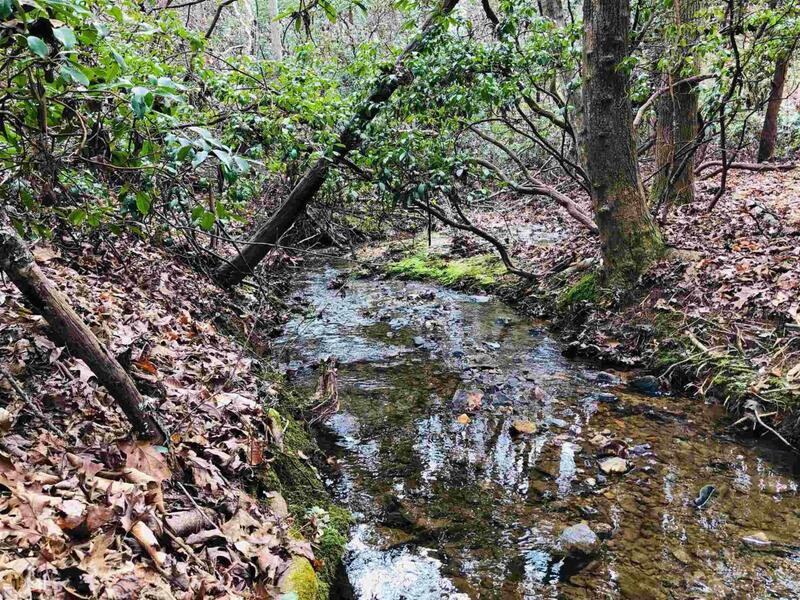 The property has already been improved with a culvert creek crossing entering the property, a drive up into the middle of the property, and a beautiful homesite graded and ready for your dream home. Large hardwoods remain on the property and provide a great woodsy setting. Very convenient to shopping, restaurants and hospitals.